This photo was taken near Aspen Colorado on the way to Independence Pass. I had just finished photographing down in a ravine when I noticed this group of aspens. 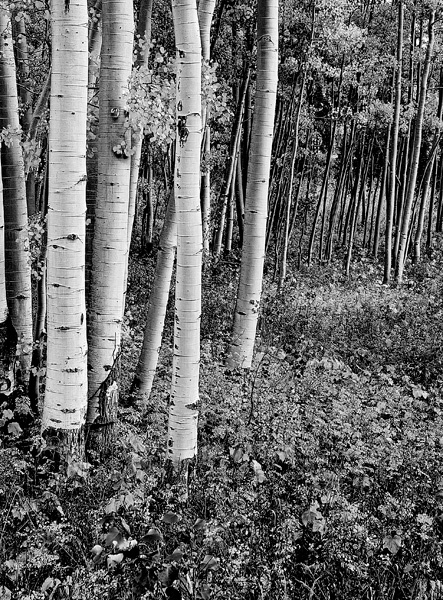 The partly cloudy conditions diffused the light just enough to bring out the fine detail of the aspens trunks. Photo © copyright by Mike Barton.